Dr Jengo's World: Marvel Heroes Diary: Jan 30 2014 - Hey Buddy! 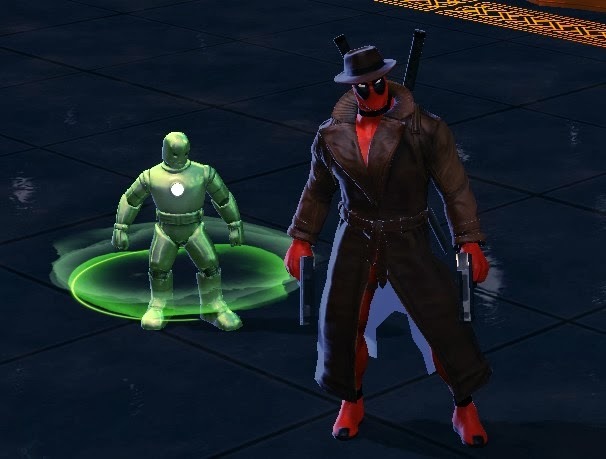 Managed to earn enough credits to purchase the Green Iron Buddy. I had to stop donating items to the enchanter but instead sell all of those. Gambit's Synergy of +5 credits and Kingpin's Medallion also helped rake in the credits but finally got him. Will be a fun little project collecting all the different coloured Iron Buddies. Gonna be real expensive though! 1mill credits for the first one was the cheapest, it gets progressively more pricier after that. 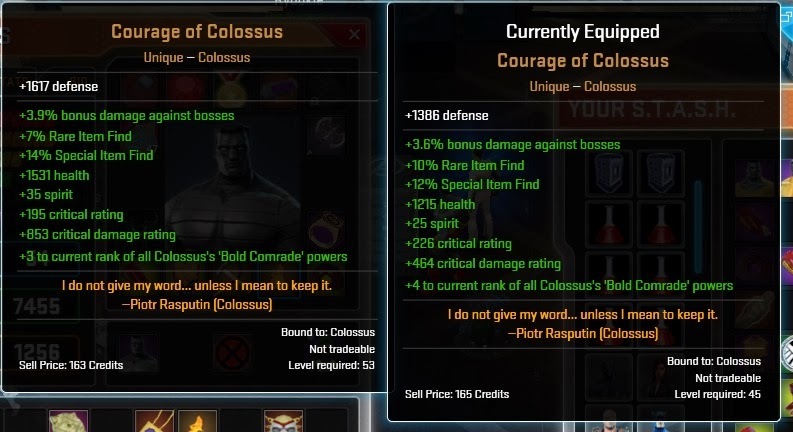 Also got another unique for Colossus. And then not too long after, got the same one again.. Most of the stats are better but with less RIF, critical rating and only +3 to "Bold Comrade" powers. 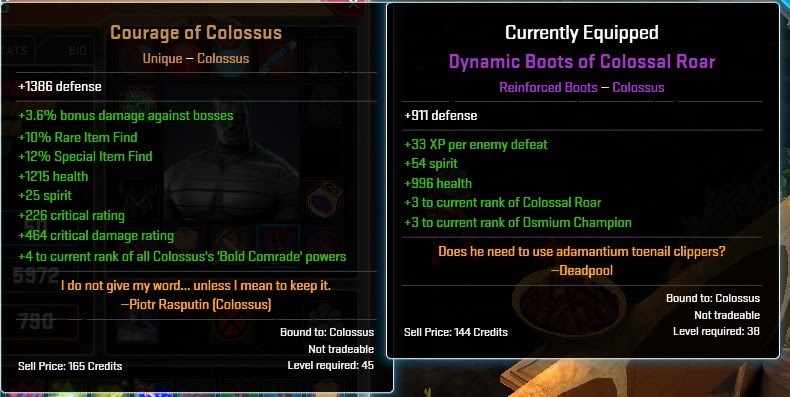 I might try upgrading the first one to level 60 to see if I can better the stats offered by the newer unique. Also found my first "Uru Gear" drops. Apparently these Uru-Gear will be part of the new Enchanter recipes that will be released soon so I can only imagine how much better these gear will become. As I write this post, I'm downloading the new patch for Marvel Heroes. The new patch will feature the Lunar New Year celebration with themed goodies and several game-play updates. The patch also comes with the newest playable hero, Nightcrawler! Having bought the Advance pack, Nightcrawler will be included in my hero roster already. Can't wait to try this guy out. I'm a huge fan of the X-Men 90s' TV Series. Although Nightcrawler didn't feature heavily in the shows, I enjoyed his occasional appearances. Will be interesting to see how he plays out, especially the teleportation powers.